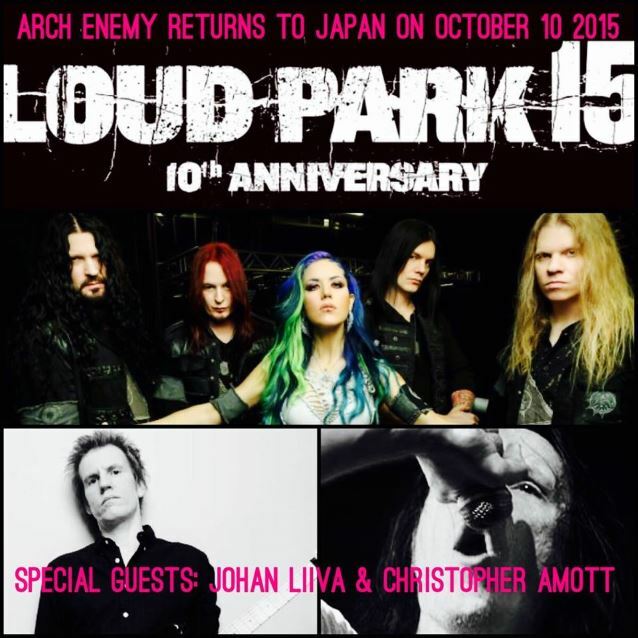 ARCH ENEMY will be rejoined by the band's original members Johan Liiva (vocals) and Christopher Amott (guitar) for their appearance at this year's edition of the Loud Park festival, set to take place October 10-11 at Saitama Super Arena, Saitama, Japan. Liiva was replaced by German singer Angela Gossow as ARCH ENEMY's lead vocalist in 2000. Gossow exited the band in 2013 and was succeeded by former THE AGONIST frontwoman Alissa White-Gluz, while remaining as the group's manager. Christopher Amott first left ARCH ENEMY in 2005, only to return to the group two years later. His second, and apparently final, departure came in March 2012. 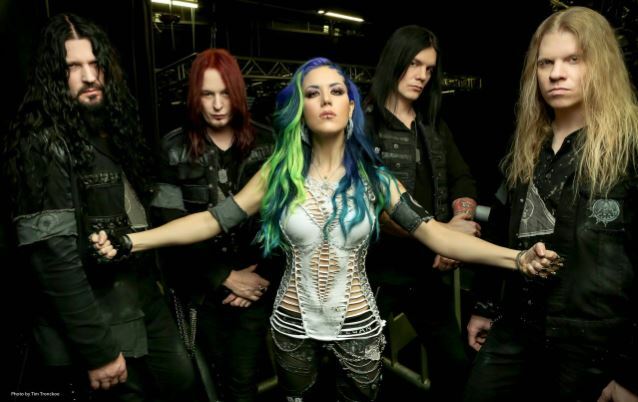 ARCH ENEMY in November 2014 parted ways with guitarist Nick Cordle and replaced him with former NEVERMORE axeman Jeff Loomis. Loomis made his live debut with ARCH ENEMY on the band's fall 2014 European tour. ARCH ENEMY headlined the 2015 installment of "Summer Slaughter". This tour marked the band's second North American run on this album cycle — but the first stateside trek to feature Loomis. 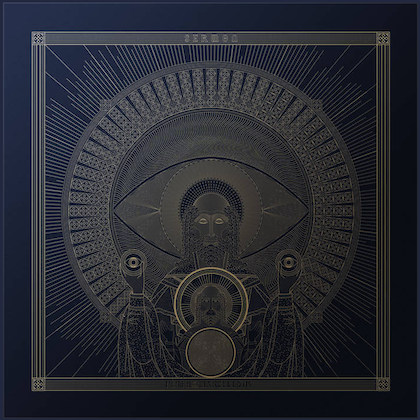 ARCH ENEMY's latest album, "War Eternal", sold around 8,000 copies in the United States in its first week of release to enter The Billboard 200 chart at position No. 44. 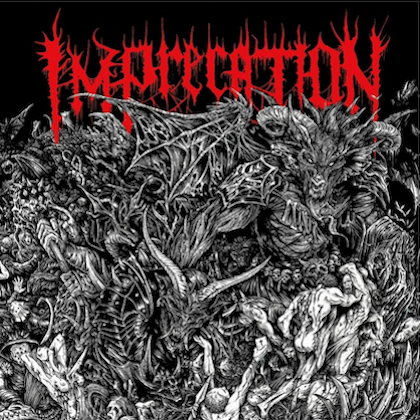 The CD was released on June 10, 2014 in North America via Century Media Records. 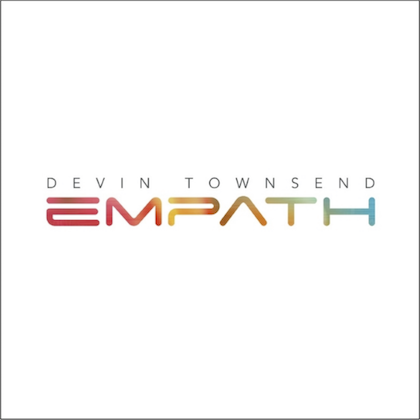 The cover artwork was created by Costin Chioreanu.